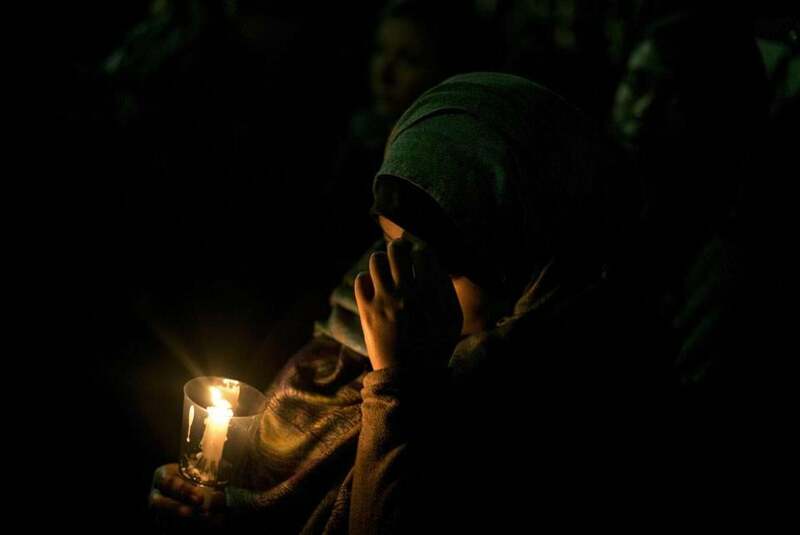 A woman held a candle during a vigil at the University of North Carolina after the fatal shootings of three Muslims in Chapel Hill. Last week, in Chapel Hill, N.C., a 46-year old white man named Craig Hicks murdered three of his neighbors. It’s quite likely that you heard about this story. Because from the moment it occurred, questions were raised, particularly on social media, about the amount of attention (or lack thereof) being paid to it. The irony, however, is that the many claims of too little media focus ensured that more attention was devoted to this crime than would ordinarily have been the case. After all, a man gunning down three people in cold blood is a remarkably unexceptional event in modern America. That it was done with a legally purchased handgun and allegedly occurred because of a dispute over, of all things, parking, makes this tragedy even more senseless, but hardly unusual. These stories happen literally every day. For example, earlier this week, a 16-year old in Kentucky shot and killed his parents and younger sister because, allegedly, his parents took away his computer privileges. The boy later died in a shootout with police officers in Maryland. In Alabama, an 11-year old was shot when his father decided to clean his loaded handgun in front of the boy. The gun discharged, killing him. Then there was the 5-year old girl in Fort Wayne, Indiana, who got hold of a loaded gun and shot and killed herself, and the Michigan woman who died last month after shooting herself in the face while trying to adjust a bra holster. Indeed, the Chapel Hill shooting — for all the focus it has received — follows a depressing and familiar pattern: A man obsessed with guns (Hicks, who had a concealed carry permit, reportedly had a dozen handguns, rifles, shotguns, and cases of ammunition in his home). Long-standing and well-noted anger issues (neighbors had convened a meeting to address Hicks’s belligerent and aggressive behavior). Allegations and demonstrated symptoms of potential mental illness (Hicks was seemingly obsessed with parking issues in his neighborhood). Where have we heard this story before? Newtown; Aurora; Tucson; Washington Navy Yard; Santa Barbara; Virginia Tech; Columbine — the grim catalog of mass killings in America, all with multiple victims and shooters with a history of mental illness or erratic conduct. Of course, evidence of mental illness is hardly a prerequisite for someone to shoot their neighbors, their family, or complete strangers. The only tangible similarity is the one so rarely commented on — the presence of a gun. Indeed, in the aftermath of the North Carolina shooting — with the usual interviews with neighbors and family in search for some explanation of how someone could be driven to such brutal violence — there was precious little attention to the single element that turned a seemingly anodyne dispute into a triple homicide. Guns are the one constant, and yet, because of their very omnipresence, they’re also the one element so often looked past. Or perhaps, because we as a nation have basically given up trying to stop the daily drumbeat of gun violence, we search for other explanations. Better that than confront the constant reminders of our national failure. Then again, 30,000 Americans die at the hand of a gun every year. Hundreds of children are slain in gun accidents or purposeful homicides. So many others are killed in shocking and random acts of violence. If every one of these stories got the attention they deserve . . . we’d have nothing else to talk about. Since the victims were Muslim, the media was allegedly ignoring the story.